If you’re playing The Division 2, chances are you’ve noticed that it gets extremely dark in places – and we’re not just talking about the whole “piles of body bags” theme, either. At night, in abandoned buildings or the sewers, light levels can get low enough that it’s very hard – or downright impossible – to see what, if anything, you’re looking at. Since the first Division 2 beta, players have been clamoring for a flashlight on the game’s various forums. 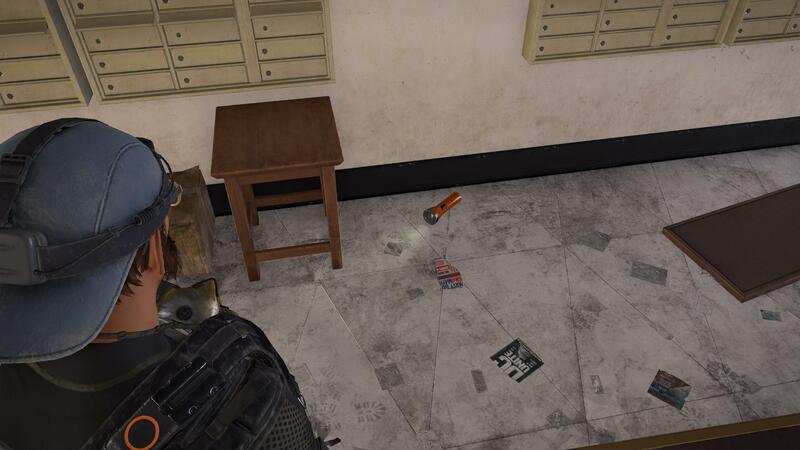 And finally, someone on Reddit has found one – a working flashlight in The Division 2. Unfortunately, it’s not particularly helpful. The flashlight is, sadly, not a piece of equipment you can unlock and use, but rather an environmental prop lying on the floor below what appears to be a bank of mailboxes in an abandoned apartment complex somewhere in downtown DC. It’s the kind you used to see around in the ‘80s a lot – flimsy plastic, with a dim little incandescent bulb, a black power switch, and probably room for two D-cell batteries inside. Of course, the flashlight in the photo looks more cut out for grade-school slumber parties and pillow forts than for navigating The Division 2’s Dark Zones, but if you need some help in that area, check out our guide to The Division 2 Dark Zone perks, which will show you how to unlock the special DZ perk tree. Considering all the different kinds of gear and weapon attachments you can find in The Division 2, it is a bit strange that Massive didn’t include one in either game. For now, you’ll just have to eat all the carrots you can find in some of those rooftop vegetable gardens.